Tenkar's Tavern: Dyson is now up to 74 Free Commercial Use Maps - Go Patreon! Dyson is now up to 74 Free Commercial Use Maps - Go Patreon! +Dyson Logos mentioned this on Facebook, but I thought I'd spread the word. 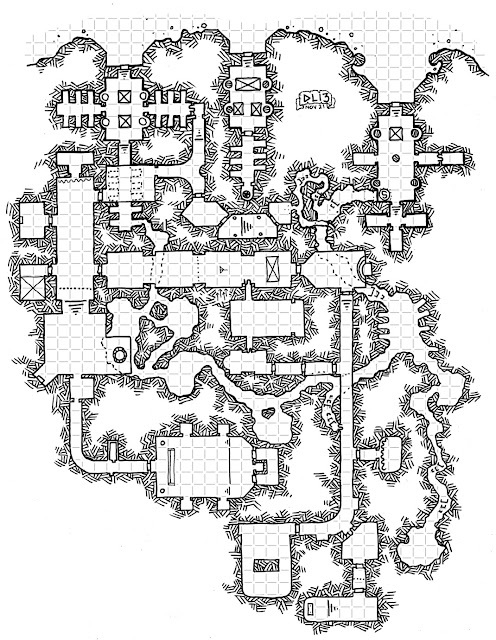 Thanks to Dyson's Patreon supporters, there are now 74 Dyson drawn maps available for free commercial use. Did I mention there are more maps added every month? Dyson is one of the most skilled and most prolific mappers in the gaming community, and the idea that publishers can use a selection of his creations for free in their commercial projects is nothing short of amazing. I've already got 2 of Dyson's maps pegged for use in a current project. Here's the link to the free commercial use maps. If you're just using for personal use, he has hundreds more. It is an awesome patreon that I am proud to support. And thank you SO MUCH for the years of support you've given me, Mark! Thanks, Erik, for the shout-out. My Patreon campaign has really changed the game up for me and I'm glad I can use it to contribute back to everyone else. I was pointing out to someone else recently that if I can bring the funding up to the $500 point, we'll have unlocked at least one more monthly release into the commercial maps, as well as a second map from the back-catalog switching over to the commercial maps catalog every month.